In case you missed the note last week, from now on Friendly Friday will be posted at 8 pm CST on Thursdays! 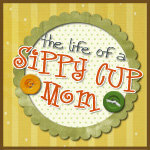 Melissa at The Life of a Sippy Cup Mom is not only a blogger but also a SAHM raising an energetic toddler. She has a passion for social media and works with her husband producing apps for the iPhone, Android and Windows Phones on Mitchell Applications. "Show Me St. Louis" has featured Melissa where she shared about the latest celebrity mom trends. She also has a passion for helping others and created Bloggers for Joplin to raise money for Joplin, Missouri, which was hit hard by a tornado a few weeks ago. Spending time with her family is very important to her and they enjoy traveling together which Melissa shares on her travel blog. As you can tell, she stays very busy! All three hostesses appreciate followers through Google Friend Connect AND Twitter and we'll follow you back - just be sure to leave a comment with your URL and/or Twitter username. Have a great weekend, everyone! Don't forget - Friendly Friday now begins at 8pm CST on Thursday nights! Thank you for hosting! GFC follower (daniellealecia) from Mixxed Reviews. Check out my recent posts….